Josh Chang, Saybrook class of 2017, recently finished a second bamboo frame for the bike he made himself. The first frame, made for mountain biking, has held up for around 1,000 miles. Josh made the second frame in anticipation of road riding before coming to Yale. “Why bamboo?” you may ask. “The benefit of bamboo is exceptional ride quality.” Josh said. He in fact did a research report on it in high school and concluded that the properties of the material allow for a smooth and comfortable ride, but when the rider pedals hard the bike is sufficiently stiff. 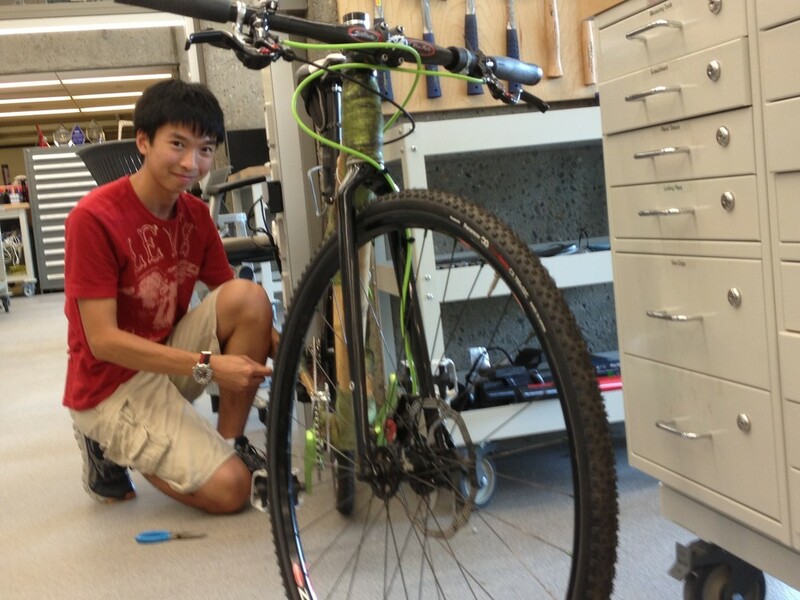 Josh found the idea on the Internet before he even started cycling, but did not start construction until the summer before his junior year of high school. He started by researching and assessing the possible success of the project and then moved on to buying carbon fiber, epoxy resin, and some metal pieces. The building process started sometime in the fall or winter of that same year and lasted until December. “Everything was done by hand,” Josh said, “from the sanding to the cutting to mitering.” He even heat-treated the bamboo in his own oven. The finishing touches included a coat of polyurethane and green glitter. The second frame was made using help fiber as opposed to carbon to see how the natural fibers perform comparatively. Josh looks forward to using the resources at Yale to do more projects like this one, and would appreciate any support for future research and testing.